The world's second Google phone, based on the Android mobile operating system, is set to launch at the end of January. 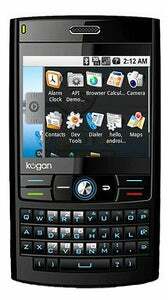 Manufactured under the Australian Kogan brand, the phone will come in two flavors, for $225 or $295. The Agora and Agora Pro models are both available for pre-sale now on Kogan's website and are sold SIM-free - that is without a contract or network locking. If your wireless carrier is AT&T or T-Mobile, then you can snap the Kogan Android up January 29 when the units officially go on sale. 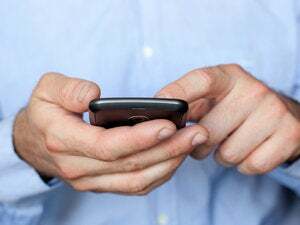 Check with your carrier first, but migrating to the Agora should be as easy as swapping out the SIM (Subscriber Identity Module) card in your existing handset with the Agora - no need to renew your contract or pay any extra fees. The Agora Pro is the more powerful out of the two models available and features a 2.5" touchscreen and an integrated QWERTY keyboard. On the Agora Pro you can browse the Internet and check your email via the phone's 3G connection or via Wi-Fi. The phone also has GPS navigation and features a 2-megapixel camera on the back. Kogan Agora is the less powerful brother and lacks Agora Pro's extras such as GPS, Wi-Fi and the camera, but comes in cheaper at $225 (including US delivery) in comparison to $295 for the Agora Pro. Both models come with only 256MB of on board memory, but this can be extended via the phone's microSD card slots. Weighing at 130 grams, both models also bring Bluetooth connectivity and FM radio. 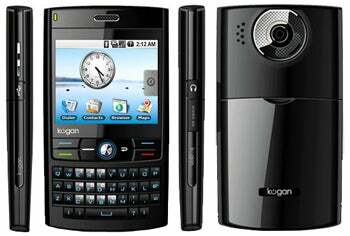 Kogan also says that the phone's talk time is up to 400 minutes while the standby time is of 300 hours. MiniUSB is used for charging and connecting to PCs. Kogan Technologies is an Australian based, online-only enterprise, and was founded two years ago by Ruslan Kogan. Kogan manufacturers all its products in China and aims at selling online high-quality electronics cheaply. Kogan also sells LCD TVs, Blu-Ray players, video cameras and now - mobile phones.